One step checkout is very reliable, robust, responsive & fully tested for its functionality with the vision of providing the high quality one step checkout process to Magento Online store. 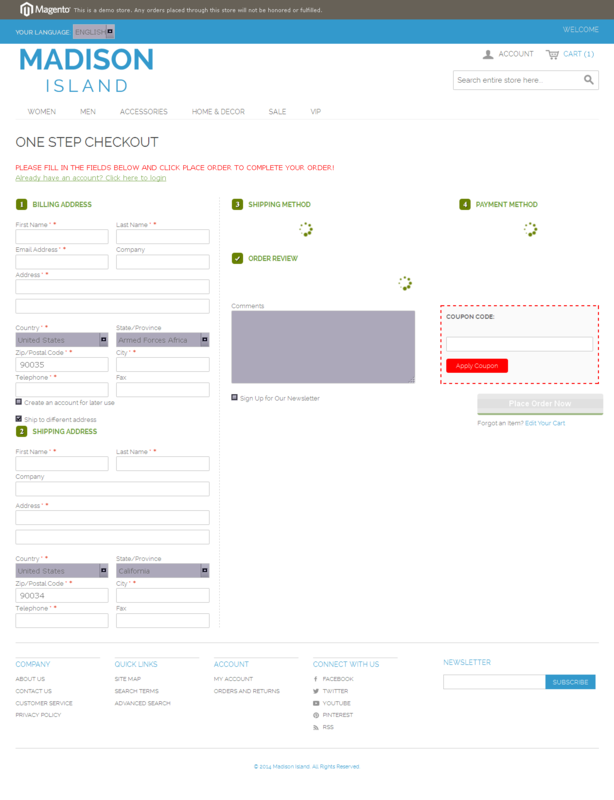 All 6 standard Magento checkout steps now on 1 page. This Magento One Step Checkout extension lets your customers fill up all the necessary information in just one page. Version 2.0 released. We recommend remove all old files and then install new one. The older version of this extension is no more supported. Version 2.0 is totally supported by us. 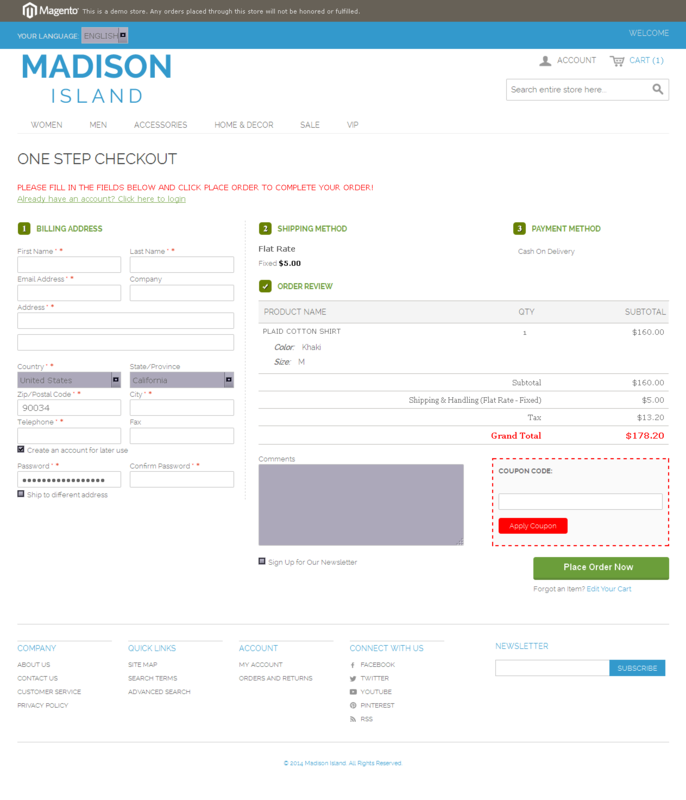 Simple and Lightning-fast one page checkout process. Works for all payment and shipping methods. Customers comments before order placing. Subscribe to newsletter and Apply promotion/coupon code in the checkout page. Purchased the item already and happy with it? Please, take a second and review our extension. Thanks!